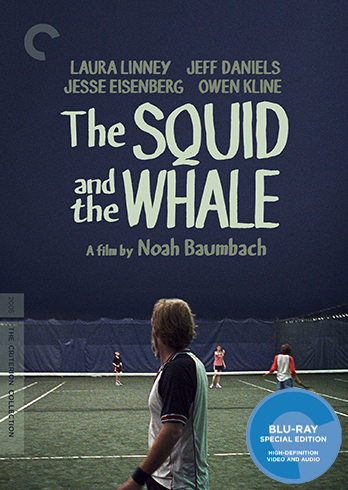 With excruciating honesty, The Squid and the Whale chronicles the experiences of two young brothers growing up in 1980s Park Slope, Brooklyn, as they navigate the jagged contours of the divorce of their parents, both writers. The acclaimed third feature by Noah Baumbach marked a critical development for the filmmaker as he turned toward an increasingly personal style—a move that garnered him an Academy Award nomination for best original screenplay. Shot in Super 16 mm and featuring a quartet of nuanced, understated performances from Jeff Daniels, Laura Linney, Jesse Eisenberg, and Owen Kline, this comic and poignant drama, peppered with autobiographical elements, deftly captures the heartache and confusion of a fracturing family.